Business View Magazine interviews Leesa Harper Rispoli, President of Coldwell Banker D’Ann Harper Realtors, as part of our focus on American realty companies. 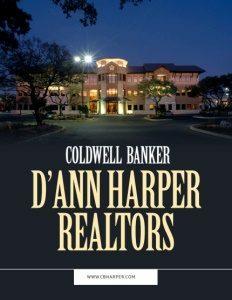 Coldwell Banker D’Ann Harper Realtors is the leading residential real estate brokerage in the South Texas/San Antonio area with nine offices, 430 sales agents, and more than $1 billion in annual sales. “We encompass downtown San Antonio, all the way north, through the hill country of Texas; from San Antonio to the south Austin area on I-35; all the way over to I-10 going west toward El Paso; and all the way into the Bandera area, as well,” says Leesa Harper Rispoli, President of the iconic real estate company that her mother first founded in 1986. While D’Ann Harper Realtors may have begun on a dining room table, the company has always been technology-driven. “It’s technology and innovation that drives a company into the future,” Rispoli maintains. Over the years, it has implemented numerous advancements in sales agent and employee workflow, including the construction of innovative CRM tools, custom web portals and virtual servers, public websites, and advanced networking that connects all the offices across San Antonio and surrounding areas. Thus, all sales agents have access to 24/7 technical support, and the tools needed to carry them ahead of others in the marketplace. 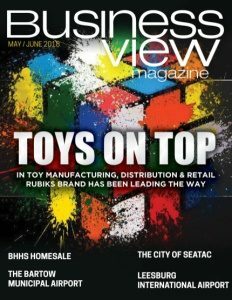 The company reaches out to its extensive customer base through a monthly real estate guide and a weekly, 30-minute TV program. Check out this handpicked feature on McGuyer Homebuilders Inc. – The mark of integrity.